Recently we facilitated a review for unique hanging mobile bell wind chime from Cedar Home. If you are looking for an inexpensive way to decorate your patio, home or gardan for the Spring and Summer months, I recommend you check Cedar Home out. Looking at their beautiful items makes me so excited to decorate our patio. I'm completely in love with the Song bird windchime. This is beautifully shaped for both indoors and outdoors. It was made with a high quality, durable metal making it waterproof and resistant to certain weather conditions. I like this because I know it will last a long time. It will look just as beautiful to hang up next year and the years after. The chimes sound amazing. Its a beautiful sound for a relaxing garden scene. 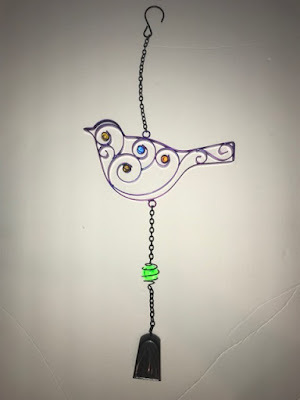 The Song Bird Wind Chime measures 8.75" W x 1.5" D x 20" H. It's easy to hang, it comes with an S hook. You will not need to use wire to hang this. It will look beautiful no matter where it is hung, a window, tree or in your garden. 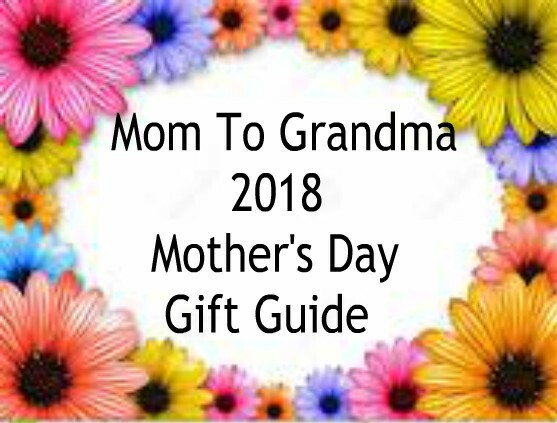 This would be perfect to gift a mom, grandmother or aunt for Mother's Day. Its a great thought for a birthday gift. 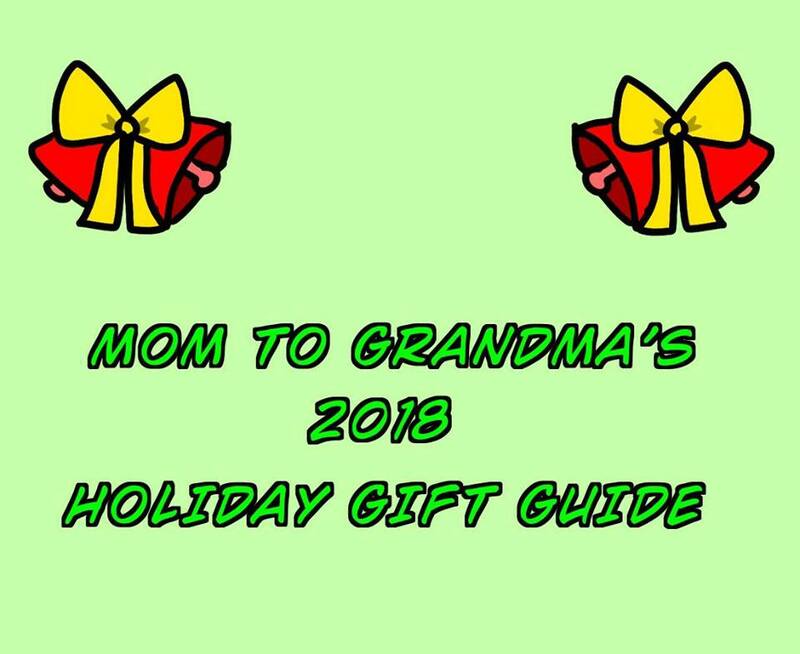 Its a gift that will last year after year. Your loved one will think of you every time they hang it up. Not only can you choose a Song Bird they also have exquisitely made Lady Bug and Butterfly Wind chimes. These come with a one year warranty. Feel free to contact the friendly customer service at Cedar Home anytime. @brianlve This looks great. I'd like one. The description states that you can have a one year warranty with customer service and tech support though? My husband and I are in the process of purchasing a home and this is exactly what I need to read. We are going to have a nice patio that I will want to decorate. Thank you for the suggestion! My kids would love this as they are bird lover and would also fit our decorations this spring and summer. This wind chime is so cute! It would make a great housewarming gift. My huband loves chimes. This is very unique and I love the jewels! 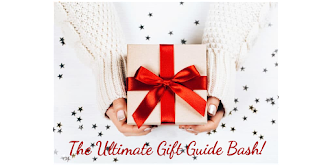 What a cool gift idea! The Bird Wind Chime looks so beautiful, I would use it as a decoration for the garden. I think something like this would match many different styles of homes and gardens. A beautiful bird, will definitely decorate each home, and give a homey home. This is such a lovely decoration for your outside. I really like the unique design and the pop of colours I bet they look lovely in the sunlight! Gorgeous. I love butterflies. I would definitely like butterfly wind chimes. It would look nice on our home. This bird shape wind chime is so unique. I would have it at my front porch in my house. Perfect gift for my home and it work like a welcome sign for our guests. Song bird wind chime looks so beautiful, perfect for inside and outside. I would love to check out the Cedar Home for some nice spring additions to my place. Love the design. I really like birds, butterflies, and lady bugs. They are really cute. 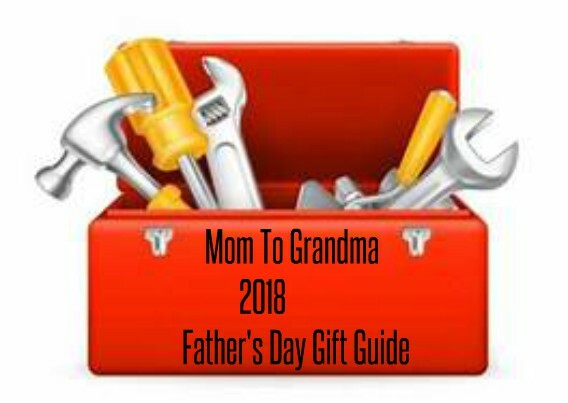 This would be perfect for my mom since she loves decorations and she loves things that will last for a long time. This is a beautiful wind chime. I was actually planning of putting one but I tend to always forget it. Thank you for the reminder and the inspiration. I haven't decided yet which design but I am leaning towards one with a butterfly. This wind chime is beautiful! I love the design and the colors too. 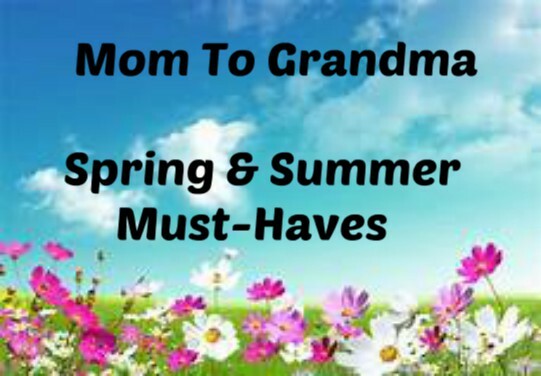 My mother would love this, she likes to collect wind chimes and birds are one of her favorites. 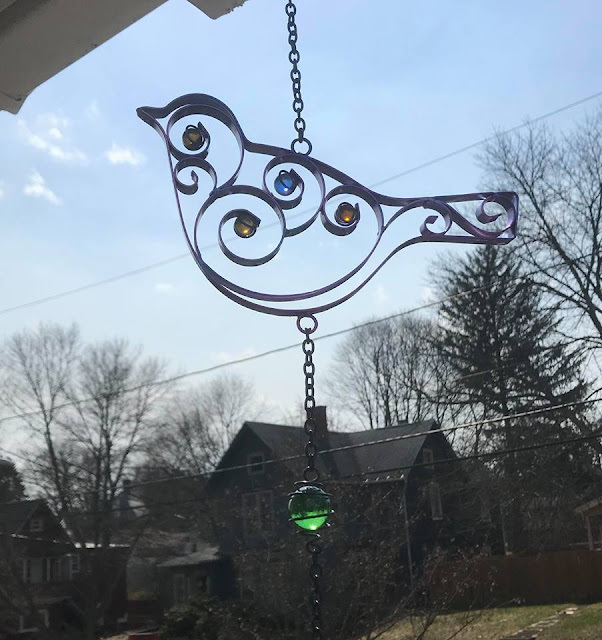 The Song Bird wind chime is beautiful. My mom has the butterfly version of it hanging on her patio. Very pretty! Would love this to hang outside our RV! That's a lovely windchime. It would look good on my patio. This chime looks adorable. I love the stone details. 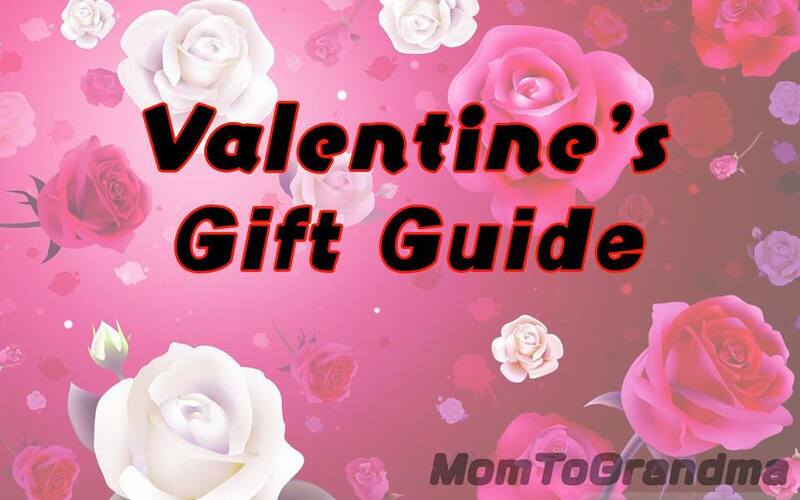 Can be a good gift too. It's really beautiful and it would be so nice to have this at home. 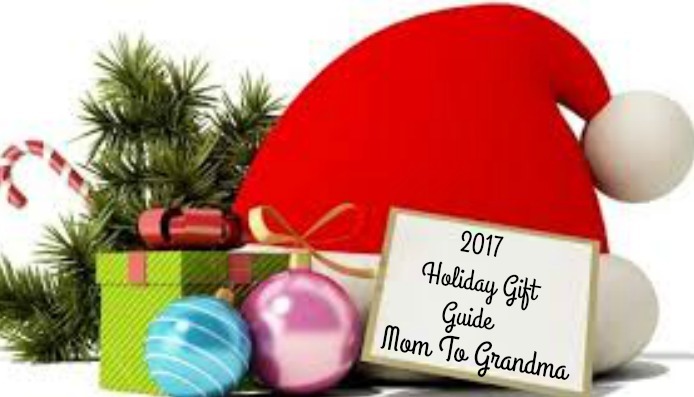 I love it as a gift idea for family and friends as well. I can't wait to check more of their products! Oh this is so pretty, and I love it. 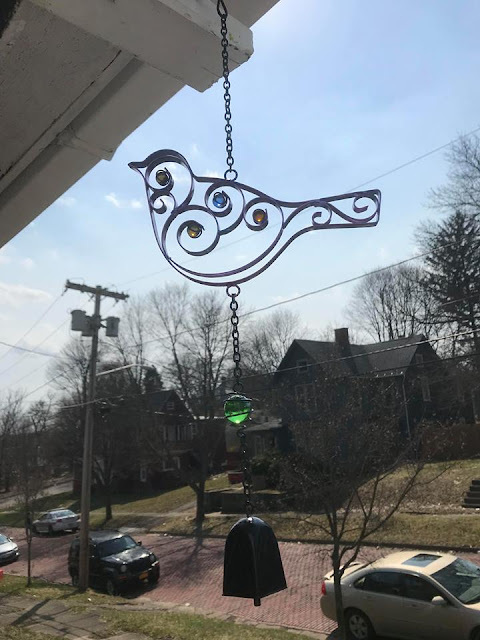 I was just helping someone find locally a stained glass bird sun catcher, this is nicer than any sun catchers. I want to let her know about this!